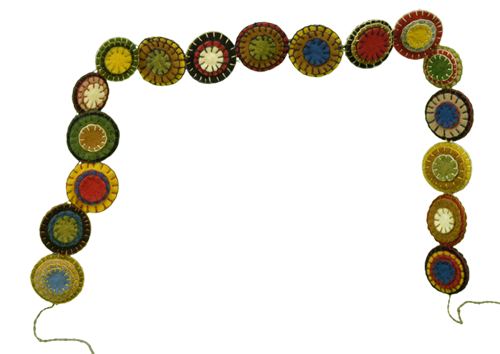 This Penny Garland is done in the tradition of the penny rug. 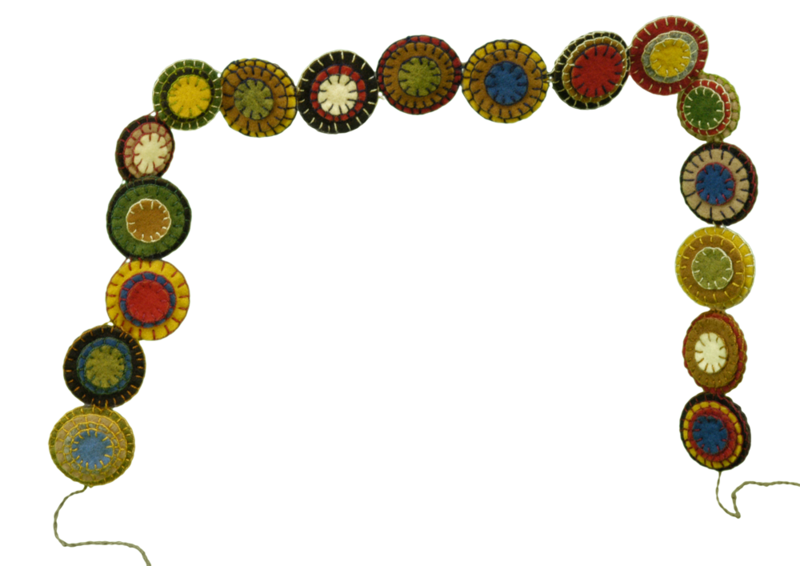 The penny rug was made from your wool felt scraps by tracing coins of the day, typically a penny, and making stacks of different color and size pennies and attaching these to a rectangle of felt. In the 1700s and 1800s a penny rug was not used on the floor but was used on your table to protect the hot wax from a candle from damaging the shellac finish on the table.